While the RCMI and QSRI apply to corporate websites, other online activities are not well regulated because of their diverse and complex nature. The RCMI and QSRI are also criticised for not controlling definitions of marketing messages like “healthier choice” and the narrow interpretation of activites that should be restricted (that is, those “directed primarily at children”). Our research used in-depth interviews to find the strategies used by social networking sites to actively craft children’s attitudes to and consumption of fast food. This includes tactics such as giveaway vouchers and toys to engage a young audience. One of these, the engagement strategy, uses fun and novelty to appeal to young kids. For example, young consumers are encouraged to “like” companies’ Facebook page or sign up for their Twitter feeds, usually in exchange for premiums such as toys or discounts. Our study included a sample of 30 Australian children who used social networking sites. Half of the children of the sample were male and their average age was 12.5: the youngest was 11 and the oldest 16. Their parents were also present during the interview; however they agreed not to intervene during the conversation. The children said they wanted to see online advertisements on social networking sites so they could find out more about certain toy collections. Content on the websites could also prompt young users to visit linked sites, such as corporate webpages. Many of them said that the offer of complimentary toys that come with the meal options motivated them to look at advertisements. Children stated that they were happy to see or to receive more information through advertisements on social networking sites. This can be considered a result of the ability of tailored online advertising (web browsing behaviour or demographic-based advertisements) to meet the interests of a target audience group. The research showed children feel more approving of advertising and even perceive it as part of their day-to-day activities, if they are constantly exposed to a large number of ads for a long period of time. The appealing pictures in the advertisements clearly create positive perceptions of the consumption of fast food. Many of the children admitted that they were enticed to try the foods depicted in the online ads because of their eye-catching visuals. On Facebook, young users’ activities, such as liking a page or posting a comment, are shown in the newsfeeds of their friend’s Facebook accounts as endorsements or sponsored stories. It is often harder for children and parents to detect the boundaries between online content and pure advertising, on social media sites than in traditional media such as television. On top of that, social networking sites use a wide range of behavioural advertising that targets the audience on the basis of their web browsing behaviour and demographics. Our interviews indicate children are influenced by the promotion of fast food products as well as the complimentary toys, exploiting their natural curiosity about new foods and love of novelty. Eventually, this leads to likely purchase of the advertised food and a change of their eating habits. Existing regulation of food advertising to children in Australia, especially on digital platforms, is still limited. But children might not be aware of the actual effects of advertising on their behaviour and can be influenced to purchase particular brands and products if the advertisements are appealing enough. This points to a need for policy makers to review the regulations related to online communications targeting young children on social networking sites. As such, the dimensions of visuals used in advertising can be strictly defined and monitored to protect customers at a younger age. Also, the use of incentives such as toys targeting young children should be restricted. In addition, advertising seems to exert its influence on children through another agent – their peers, a relatively strong force in determining children’s food preferences and choices. In general, a tougher legislation system to shield children from unhealthy food marketing is essential to prevent the problems of obesity and to build a healthier society. 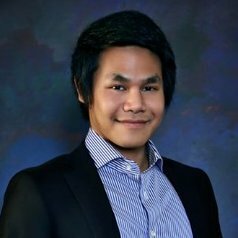 Park Thaichon does not work for, consult, own shares in or receive funding from any company or organization that would benefit from this article, and has disclosed no relevant affiliations beyond the academic appointment above.